National Geographic, is the official magazine of the National Geographic Society. It has been published continuously since its first issue in 1888, nine months after the Society itself was founded. It primarily contains articles about geography, history, and world culture. The magazine is known for its thick square-bound glossy format with a yellow rectangular border and its extensive use of dramatic photographs. The magazine is published monthly, and additional map supplements are also included with subscriptions. It is available in a traditional printed edition and through an interactive online edition. On occasion, special editions of the magazine are issued. As of 2015, the magazine was circulated worldwide in nearly 40 local-language editions and had a global circulation of approximately 6.5 million per month according to data published by The Washington Post (down from about 12 million in the late 1980s) or 6.7 million according to National Geographic. This includes a US circulation of 3.5 million. From the 1970s through about 2010 the magazine was printed in Corinth, Mississippi, by private printers until that plant was finally closed. The current Editor-in-Chief of the National Geographic Magazine is Susan Goldberg. Chris Johns is chief content officer. He oversees the print and digital expression of National Geographic’s editorial content across its media platforms. He is responsible for National Geographic magazine, News, Books, Traveler magazine, Maps and all digital content with the exception of National Geographic Kids. He reports to Gary Evan Knell, president and CEO of the National Geographic Society. Terry B. Adamson, Executive Vice President of the Society and the Society's chief legal officer, has overall responsibility for the Society's international publications, including the magazine. He also reports to Knell. 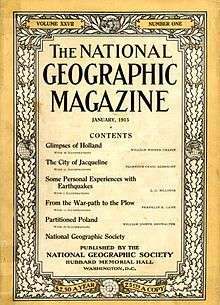 The first issue of National Geographic Magazine was published on October 22, 1888, nine months after the Society was founded. Starting with its January 1905 publication of several full-page pictures of Tibet in 1900–1901, the magazine changed from being a text-oriented publication closer to a scientific journal to featuring extensive pictorial content, and became well known for this style. Among its more recent issues, the June 1985 cover portrait of the presumed to be 12-year-old Afghan girl Sharbat Gula, shot by photographer Steve McCurry, became one of the magazine's most recognizable images. National Geographic Kids, the children's version of the magazine, was launched in 1975 under the name National Geographic World. In later years articles became outspoken on issues such as environmental issues, deforestation, chemical pollution, global warming, and endangered species. 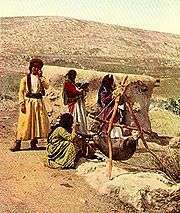 Series of articles were included focusing on the history and varied uses of specific products such as a single metal, gem, food crop, or agricultural product, or an archaeological discovery. Occasionally an entire month's issue would be devoted to a single country, past civilization, a natural resource whose future is endangered, or other theme. In recent decades, the National Geographic Society has unveiled other magazines with different focuses. Whereas in the past, the magazine featured lengthy expositions, recent issues have shorter articles. 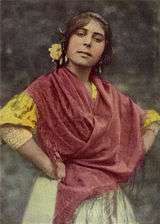 The magazine began to feature some pages of color photography in the early 1930s, when this technology was still in its early development. During the mid-1930s, Luis Marden (1913–2003), a writer and photographer for National Geographic, convinced the magazine to allow its photographers to use the so-called "miniature" 35 mm Leica cameras loaded with Kodachrome film over bulkier cameras with heavy glass plates that required the use of tripods. In 1959, the magazine started publishing small photographs on its covers, later becoming larger photographs. National Geographic photography quickly shifted to digital photography for both its printed magazine and its website. In subsequent years, the cover, while keeping its yellow border, shed its oak leaf trim and bare table of contents, to allow for a full page photograph taken for one of the month's articles. Issues of National Geographic are often kept by subscribers for years and re-sold at thrift stores as collectibles. The standard for photography has remained high over the subsequent decades and the magazine is still illustrated with some of the highest-quality photojournalism in the world. In 2006, National Geographic began an international photography competition with over eighteen countries participating. In 1995, National Geographic began publishing in Japanese, its first local language edition. 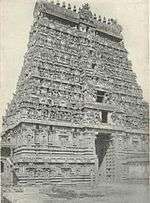 The magazine is currently published in 37 local editions around the world, including one local English version in India. In association with Trends Publications in Beijing and IDG Asia, National Geographic has been authorized for "copyright cooperation" in China to publish the yellow border magazine, which launched with the July 2007 issue of the magazine with an event in Beijing on July 10, 2007 and another event on December 6, 2007 in Beijing also celebrating the 29th anniversary of normalization of U.S.–China relations featuring former President Jimmy Carter. The mainland China version is one of the two local-language editions that bump the National Geographic logo off its header in favor of a local-language logo; the other one is the Farsi version published under the name Gita Nama. 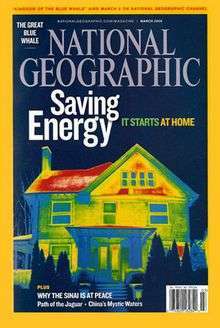 In contrast to the United States, where membership in the National Geographic Society was until recently the only way to receive the magazine, the worldwide editions are sold on newsstands in addition to regular subscriptions. In several countries, such as Hungary, Slovenia, Croatia, Turkey and Ukraine National Geographic paved the way for a subscription model in addition to traditional newsstand sales. 1 2 3 "Masthead: National Geographic Magazine". National Geographic. July 1, 2014. Archived from the original on July 1, 2014. Retrieved July 1, 2014. ↑ Farhi, Paul (September 9, 2014). "National Geographic gives Fox control of media assets in $725 million deal". The Washington Post. Washington, DC. Retrieved July 8, 2016. ↑ "National Geographic Boilerplates". National Geographic Press Room. National Geographic Society. April 2015. Retrieved July 8, 2016. Published in English and nearly 40 local-language editions, National Geographic magazine has a global circulation of around 6.7 million. ↑ Parker, Laura. "National Geographic and 21st Century Fox Expand Media Partnership". Retrieved 9 September 2015. ↑ "Evolution of National Geographic Magazine" (PDF). Retrieved 2014-07-13. ↑ The Complete National Geographic. ISBN 978-1-4262-9635-2. ↑ Wentzel, Volmar K (1998). "GILBERT HOVEY GROSVENOR, FATHER OF PHOTOJOURNALISM". Cosmos Club. Cosmos Club. Retrieved January 18, 2015. Photographs had unquestionably become the Magazine’s trademark. They confirmed GHG’s conviction, “If the National Geographic Magazine is to progress, it must constantly improve the quality of its illustrations...” At first he borrowed, then bought and probably would have stolen “dynamical” photographs, if in 1915 he had not engaged Franklin L. Fisher as his Chief of Illustrations. ↑ Wentzel, Volmar K (1998). "GILBERT HOVEY GROSVENOR, FATHER OF PHOTOJOURNALISM". Cosmos Club. Cosmos Club. Retrieved January 18, 2015. ↑ "Milestone Photos". Photo Galleries - Celebrating 125 Years. National Geographic Society. 2013. Retrieved January 18, 2016. ↑ Grosvenor, Gilbert (1950). Map Services of the National Geographic Society. Washington, D.C.: National Geographic Society. A Map Cabinet containing over eighteen National Geographic maps has been presented to every U.S. president since President Franklin D. Roosevelt. ↑ Pérez-Peña, Richard. "National Geographic Wins 3 Awards, Honored Beyond Photography". The New York Times, May 2, 2008. Accessed January 8, 2010. ↑ "American Society of Magazine Editors database". Magazine.org. Retrieved 2014-07-13. ↑ Howard, Brian Clark (May 1, 2014). "National Geographic Wins National Magazine Awards". NGS. National Geographic Society. Retrieved January 18, 2016. The annual National Magazine Awards are considered the premier awards for magazine journalism and are administered by the American Society of Magazine Editors in association with the Columbia University Graduate School of Journalism. Winners were announced at a dinner in New York. Wikimedia Commons has media related to National Geographic Magazine images.